For some time now I've seen dazzling and beautiful vintage dresses being coloured in. 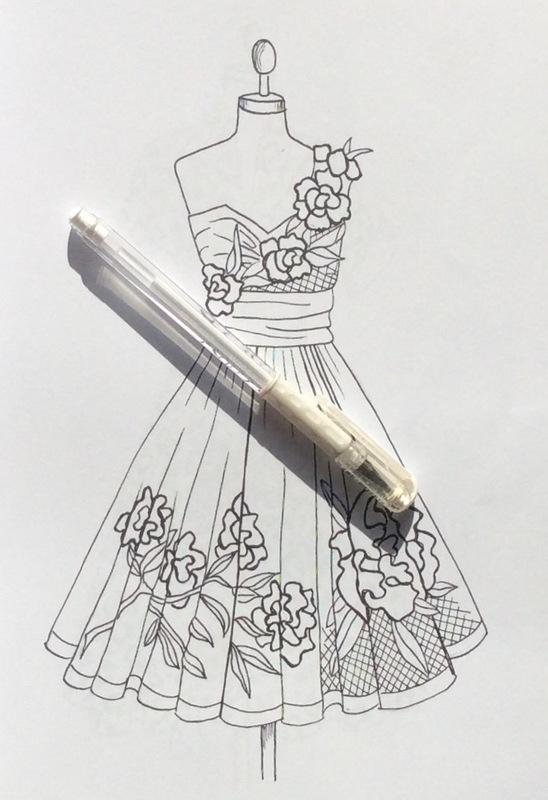 So it's a pleasure finally to be in touch with Collette and get to colour some of her frocks! Downunder Week, introducing Sami Sparrow - review is here. Paper - white and average quality. 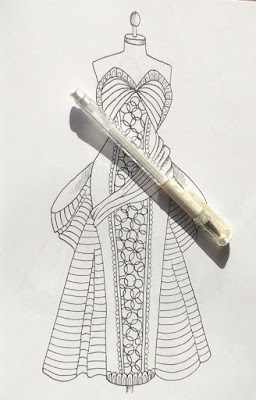 Who will love it - those who love fashion, especially vintage fashion, and those who like to experiment with colour in patterns. 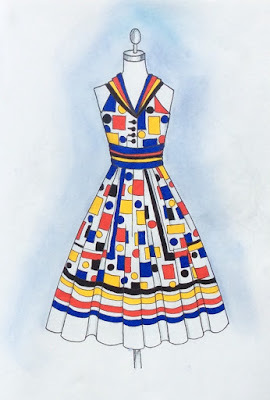 Coming very soon is her Chardonnay-Minx Party Girl book (which I'll link to when listed) and a second book of vintage dresses. 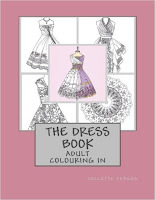 You can visit Collette's webiste here, where you can see a gallery of colourings from Dresses. my review of Vintage Vogue. This is the first colouring book I've come across that doesn't have people inside the dresses; they're on mannequins instead. 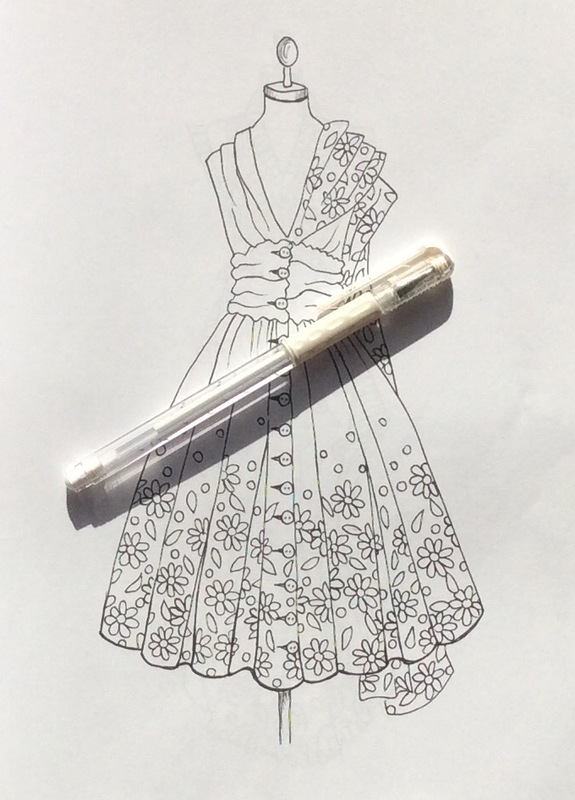 It makes colouring so much easier not to have to deal with skin tones! Collette has given us a wonderful array of hand drawn vintage dresses to colour. I can remember my Mother wearing similar styles, with big, full skirts and demur or bold patterns. 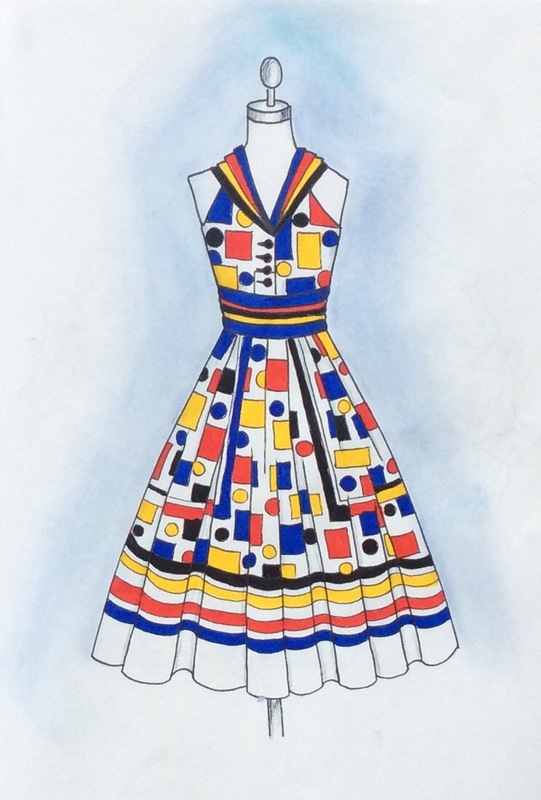 I'm thoroughly enjoying being a fabric designer! The images are all hand drawn on a stark white background. 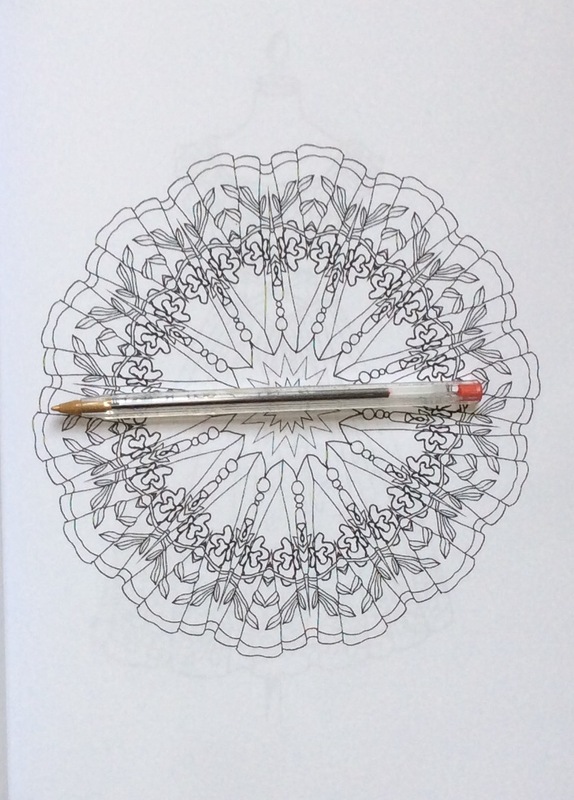 If you like you can add in some background or leave it uncoloured. You can take a solid colour approach as I did above or try your hand at shading. Line length throughout is mostly medium with accessional fine details. There are helpful shading additions added in (folds in the way the fabric falls) where you can deepen your colour if you wish. 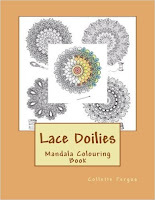 The book also includes mandalas that are aerial views of 1950s style circular skirts of dresses. I think this is the perfect book for someone interested in fashion who is just starting colouring too. 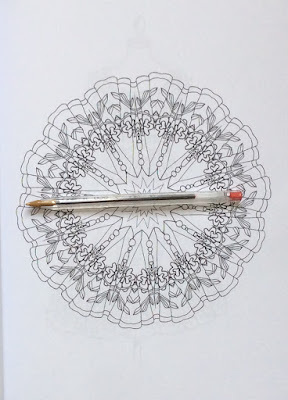 The images won't take you long to colour and they are so rewarding. The book has an introduction by Collette. The images are on single pages and are centred on the page with no images running into the spine. My copy is stitch and glue bound so is sturdy and easy to handle. 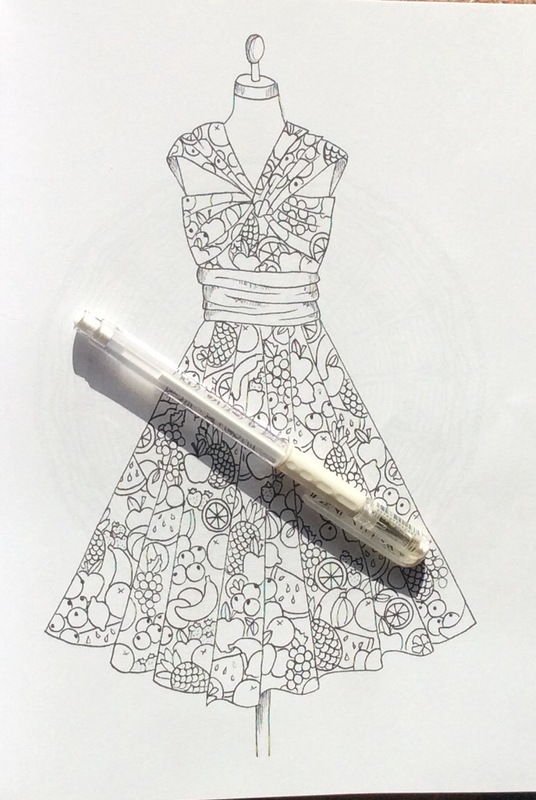 The paper is on the medium to thin side so it would be a good idea to place a protective sheet behind the image you're colouring. 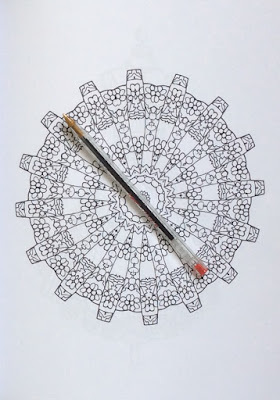 Because the images are on one side only it won't matter what colouring medium you use. It'll all depend on the effect you're after. Meet Kate, Colourer of the Month - review is here. The Moomin Colouring Book - review is here.